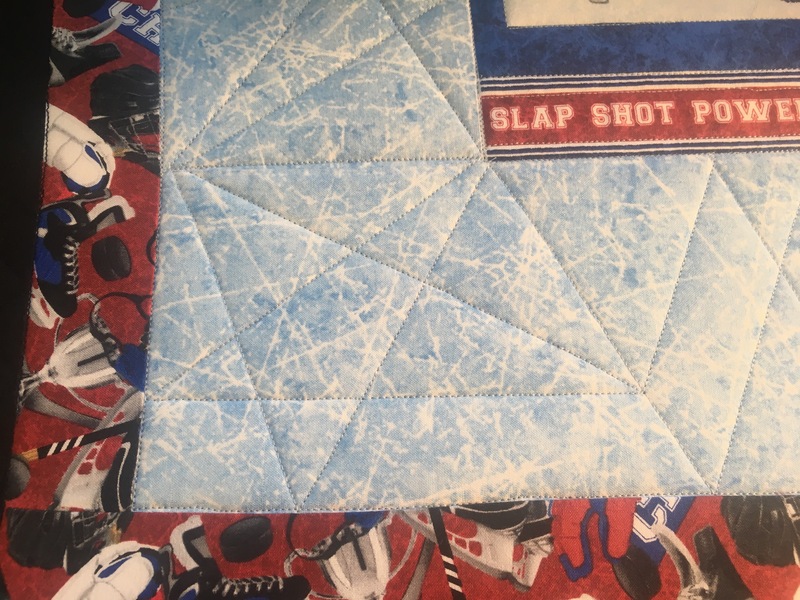 I wanted to share with you all, a beautiful quilt designed by my dear friend, for her grandson and his love of Hockey. Kathleen carefully chose the perfect fabric’s that complemented each other from Northcott Studio Fabric’s line called “Power Play” in Blue Ice along with “Power Play Champion Hockey gear in Red and framed her quilt with mitered boarders with Robert Kauffman’s fabric line called “Skates, Pucks and Sticks. 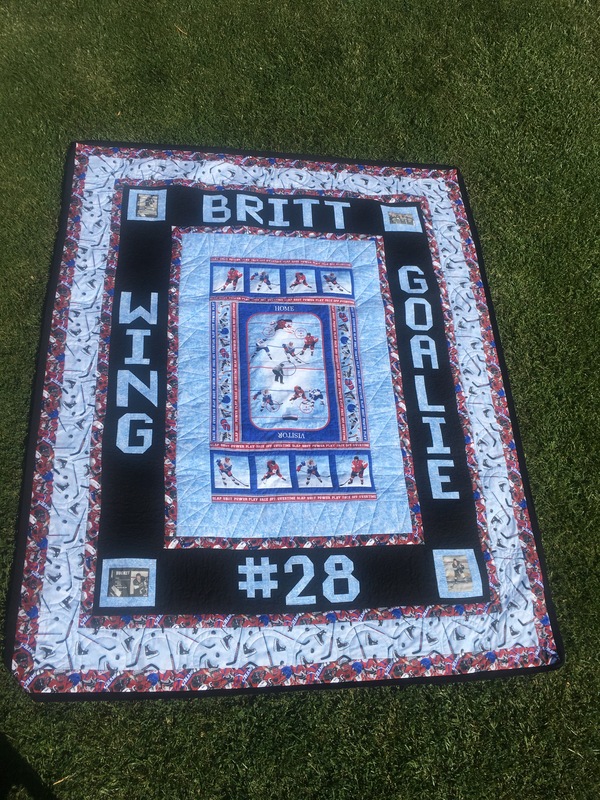 She then backed the quilt with a soft and warm Flannel by Camelot Fabrics called ‘Hockey Champion’ her quilt was designed around the center panel with wonderful lettering blocks along with his name and his Jersey number and printed memorable pictures of his games on the outer edges. 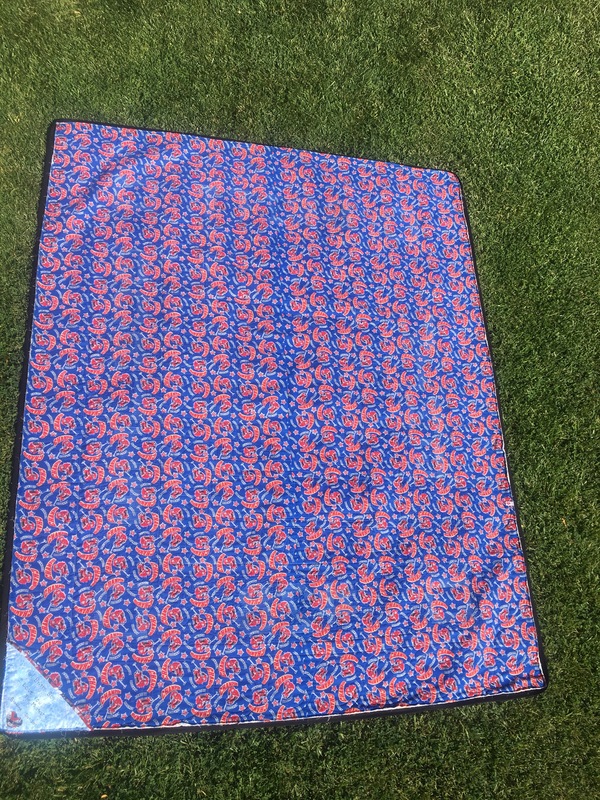 I admire her creativity and desire, to make a quilted treasure for her grandson that will last a lifetime because these gifts come from the heart and are truly special. 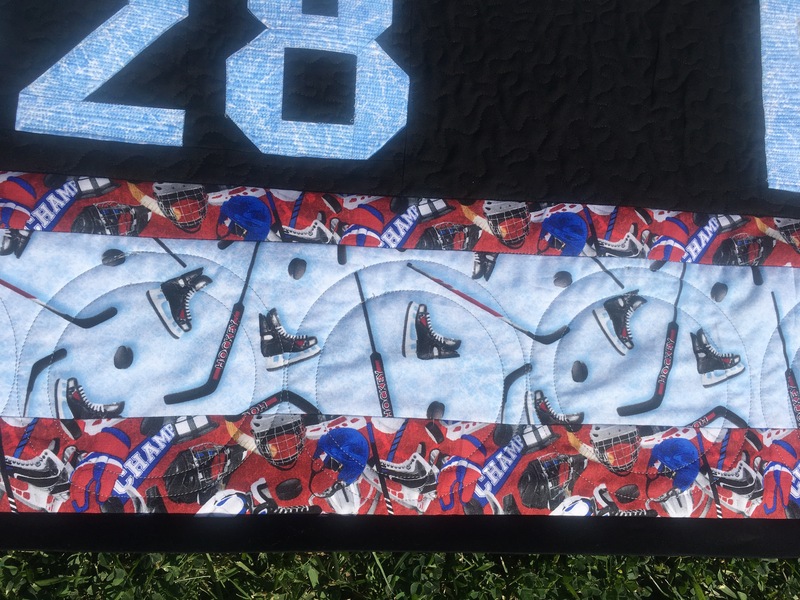 With a plan in mind, I started by accenting her masterful design, by outlining the center panel with the Hockey Ring and the players followed by a fun fractured ice design in the crisp “Power Play” blue ice boarders and then proceeded to outline the lettering blocks and photo blocks with a zig zag inside each letter and sashing fabric around each photo, followed by a large meandering stitch and finishing with large offset circles mimicking Hockey pucks. Thank you Kathleen for the honor to Longarm your special treasure, I enjoy being part of such memorable quilts.